A privacy expert has said there have been "many warnings" about the compatibility of Irish data retention laws with EU rules, since before they were first introduced in 2011. But according to Dr Eoin O'Dell, an Associate Professor of Law at Trinity College in Dublin, today is the first time an Irish court has said it. It comes after convicted murderer Graham Dwyer won his legal case against the Garda Commissioner and the State over the law allowing mobile phone data to be kept and accessed. 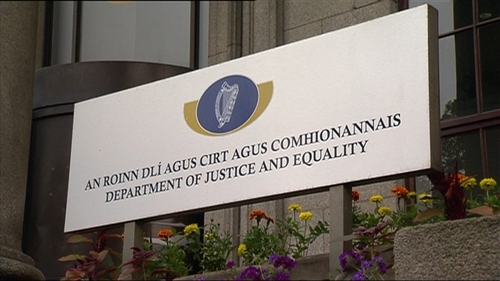 Dr O'Dell said the Department of Justice could have acted a long time ago to ensure the safeguards that the court said this legislation is lacking, were introduced at the start. He said because of today's judgment, "there will be questions whether the evidence gathered on foot of it is admissible". He added: "There is no automatic exclusion of illegally obtained evidence and that is a matter for the discretion of the trial judge and the discretion of the Court of Appeal". Barrister Irene Sands said the judgment means there could be ramifications around what gardaí are able to use, and seek access to, during criminal investigations. She said the section of the legislation allowed a garda, not below the rank of a Chief Superintendent, to seek data from mobile providers in relation to an investigation, detention or the prosecution of any serious offence. Ms Sands said because of this, gardaí had "very broad powers" and the judgment essentially says that was not in line with the EU. An Garda Síochána said that it will need to review the "very detailed" judgment before making any substantive comment, while the Data Protection Commissioner renewed her call for the Government to immediately prioritise reworking the law in this area. In a statement, Minister for Justice Charlie Flanagan said it was clear the current legal framework around accessing meta-data to combat criminals and terrorists needs to be modernised in light of evolving jurisprudence. Mr Flanagan said a draft data retention bill is already at an advanced stage, in which many aspects of today's judgment are referenced. But he said the Attorney General's advice will be taken about further changes.